How The Henna Hue and Designs Evolved from Medieval to A Global Art Form. From head to toe, the henna has infinite uses for the human body and mind. These range from medicinal utility, beautification, mummification, spirituality to decorative body art, such that henna and the art of its application are now widespread across cultures and religions. In present times, it is no surprise to see periods specially carved into wedding programs for the artistic designs of hands and feet. This is an art widespread amongst the women of Northern Nigeria. These designs, known amongst Nigerian women as Lalle, or Henna are beautiful and temporal tattoos drawn on hands and feet of females at weddings, naming ceremonies, festivals and even on normal days as means of beautification. However, long before the modern day commercialization of the body art, where artists charge quite lump sums at weddings and other festivities, were days that saw the henna design used for more than just body designs. The origin of henna is traced to the Bronze Age and the Roman Period. Around 3500 BC, henna found its way into North Africa. Here, these species of the Lawania leaves were ground into a paste and applied as dye to hair. In Egypt, they were used to decorate nails of mummies, and to treat skin irritations and mild diseases on the skin. In fact, it was used first by men who added it to their beards to achieve a rich brown/reddish color and to conceal graying hair. The coming of Europeans however into North Africa influenced the development of Henna art in the negative, at first. Some scholars argue that this may have been because of the promotion of European wears and cosmetics over the twigs and simple artistic beauty material that was the henna paste, while others argue that perhaps the Europeans may have attributed it to certain beliefs that the designs were simply backward and not meant for proper civilization. However, after the liberation of North Africa, Henna art started to prosper once more, mostly owing to the Islamization of the North African Countries. This made the henna plant an economic good, as it was being packaged and treated as export material to other countries within Africa. Henna designs are thought to have originally spread in West Africa through the Tuareg Communities of the Sahara. In his book, The Book of Roads and Kingdoms, al- Bakri (1014-1094) wrote about the city of Awdaghust, which he described as a city of numerous palms and henna trees. The ruins of this ancient city is now located in South Central Mauritania. Other areas where history records growth of the henna plant were the Hausa lands; Niger, Northern Nigeria, and Ports of Burkina Faso and Ghana. It is therefore a bit unclear if the importation of ground henna leaves formed the basis for the recognition of Henna plants in West Africa, or if they were already identified and being put to use by the Tuaregs of the Sahara and gradually introduced to the Hausa lands. This is because the henna in Nigeria is called the lalle, a variation from the Tuaregs anelle. Another angle of origination would come from Arabs and the religious teachings. Here, scholars believe the Islamic prophet Muhammad had commanded the females in his congregation to adorn their hands with henna as a means of distinguishing their hands from the hands of the males. Hence some believe the henna to have come with the Islamization of some Hausa lands such that by the 19th Century in Borno Empire and the Fulani Empire in Sokoto, men were recorded to have their beards dyed while women explored hand and feet designs at weddings and Eid celebrations. 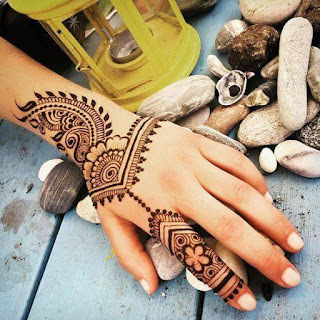 Today, there exist innumerable patterns and designs of the henna largely inspired by cultural and religious traditions and even contemporary styles. Some designs come in geometric shapes with abstract symbols; others come in floral designs, lines and dots. 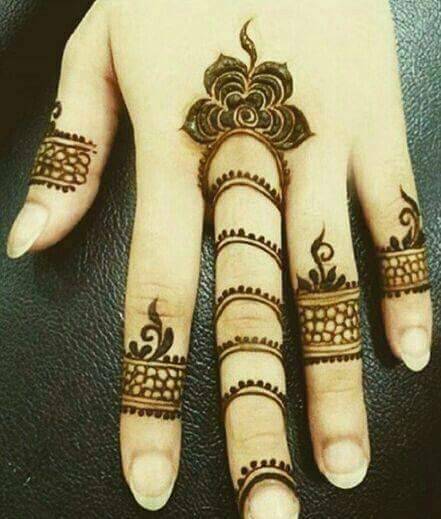 Interestingly, the use of henna during wedding ceremonies is not limited to the brides alone. Some African ethnic groups such as the Nupe and the Tuareg indulge their grooms as well with sparse application of henna to their hands. 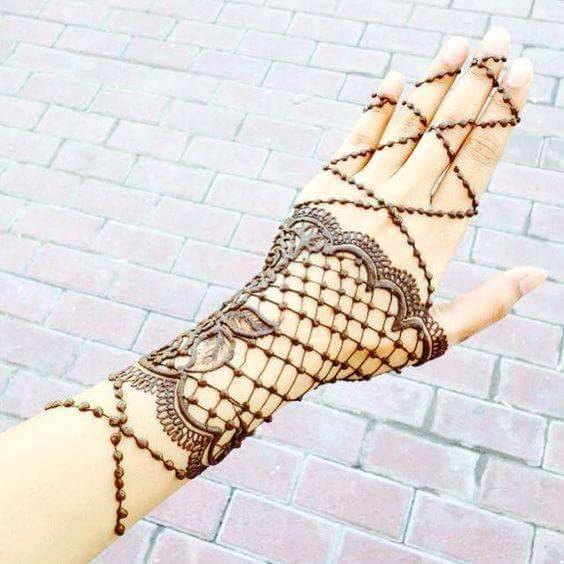 From Africa, to Asia and to Europe, and still extending and growing as one major area of economic importance to women financial independence and liberation, one thing is certain about the henna; it is a beautiful and accepted work of art. In contemporary times, chemicals are being added to the paste to give it longer stain time, as well as explore other colors such as black, green, and blue from its original reddish/brownish color. While the designs from these modern mixtures are pleasant to the eye, a lot of concern is being raised about the degree of effects it has on the skin. Now, with twigs, or the more common cones and syringe, anyone can get a henna design. Accepted by major faiths around the world; Jews, Muslims, Sikhs, Hindus, and some Christians have their brides adorned with splendid designs on days before their weddings, while allowing for females of all ages to wear the designs as part of their daily beauty accessories. So, if you are wearing a henna design today, think how its use has evolved from mummification, to skin remedies, to hair dye for men and finally to the palm of your hand and soles of your feet. Think also, how it would look on the beards of Nigerian men. Interesting read. Thanks for the enlightment about henna. Thumbs up Nana Hauwa.